Zero Carbon staged a co-ordinated banner drop at noon today. The banners called for each of the colleges to divest. Campaigners dropped banners at colleges including Newnham, King’s, Christ’s, Robinson, Selwyn, Clare, Murray Edwards, Churchill, Trinity Hall and Trinity. They said the new college-based campaigns are “part of a wider strategy to reach crucial climate justice victories while building pressure on the university’s central endowment fund”. The co-ordinated direct action comes in the wake of investigations released yesterday by Varsity and Oxford student newspaper Cherwell, which revealed that seven Cambridge colleges hold direct investments in corporations engaged in oil and gas exploration, production and refining. 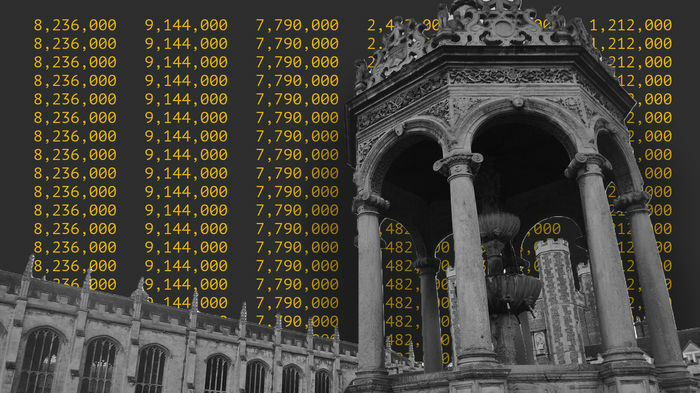 Trinity College was found to hold the largest direct investments in fossil fuel industries of the 45 Oxbridge colleges who responded to Freedom of Information requests, with £9.1m invested in oil and gas exploration, production and refining. Last May, shortly after the University Council postponed their decision on whether to divest Cambridge’s endowment, Zero Carbon dropped banners over three bridges on the River Cam. Earlier this week on Thursday, Zero Carbon disrupted the Shell annual lecture, where Andrew Brown, a member of Shell’s executive committee, was scheduled to speak.